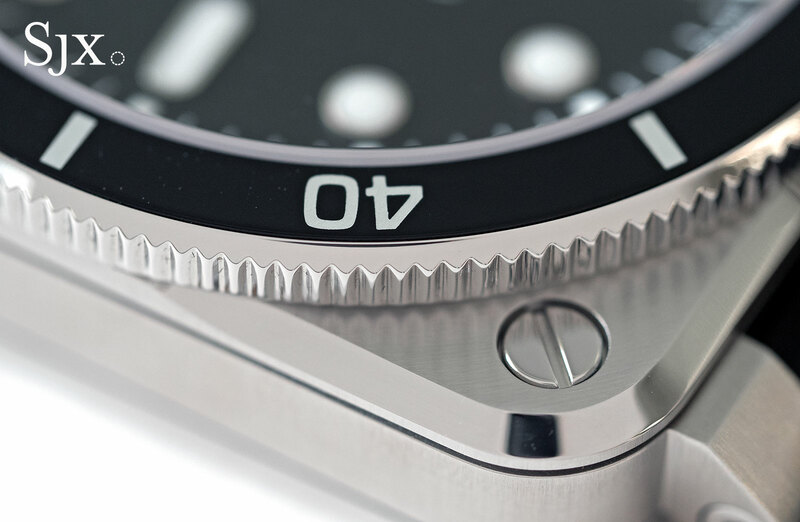 The signature B&R wristwatch bulks up for diving. 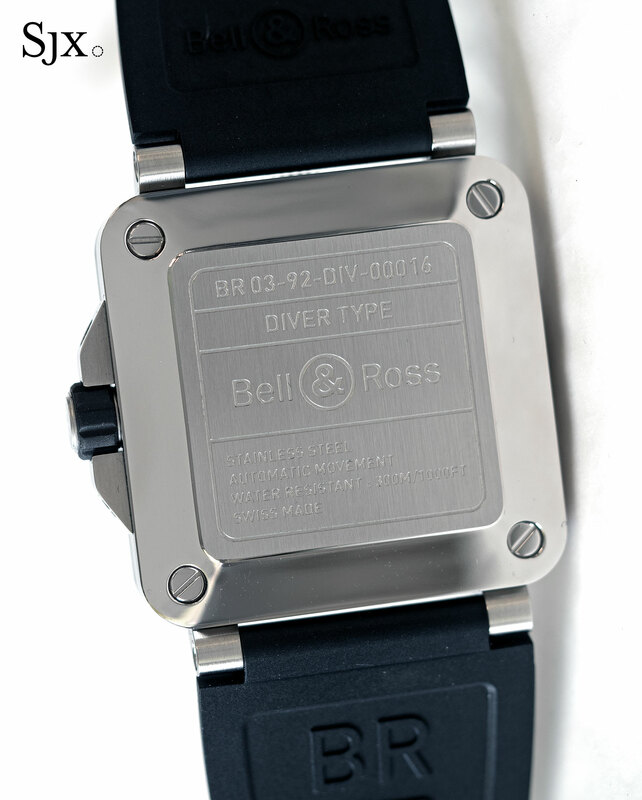 Inspired by aircraft instrument panels, the Bell & Ross BR 03-92 has been repurposed and fortified to turn it into a wristwatch rated to 300m that meets the ISO 6425 standard for diver’s watch. 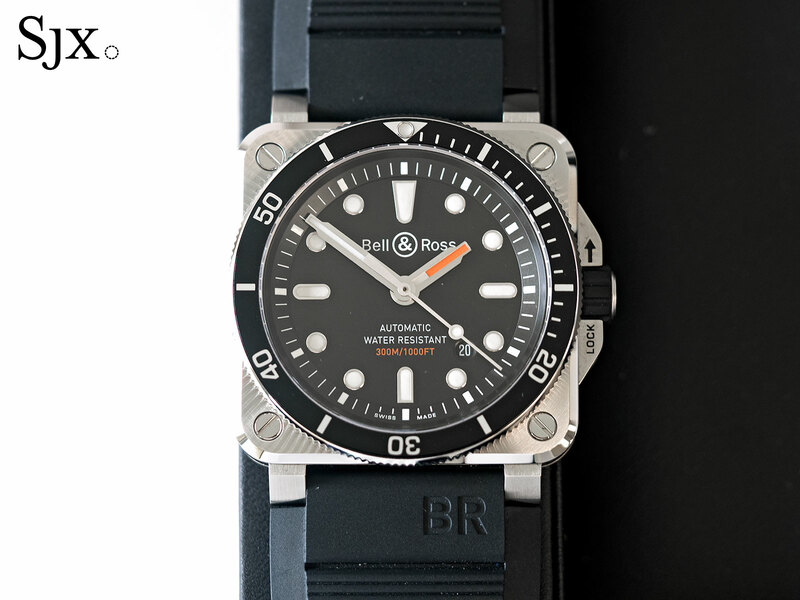 That means the BR 03-92 Diver passes various robustness tests, including shock, magnetism and temperature, and also has the unidirectional bezel that’s a standard feature on most dive watches. 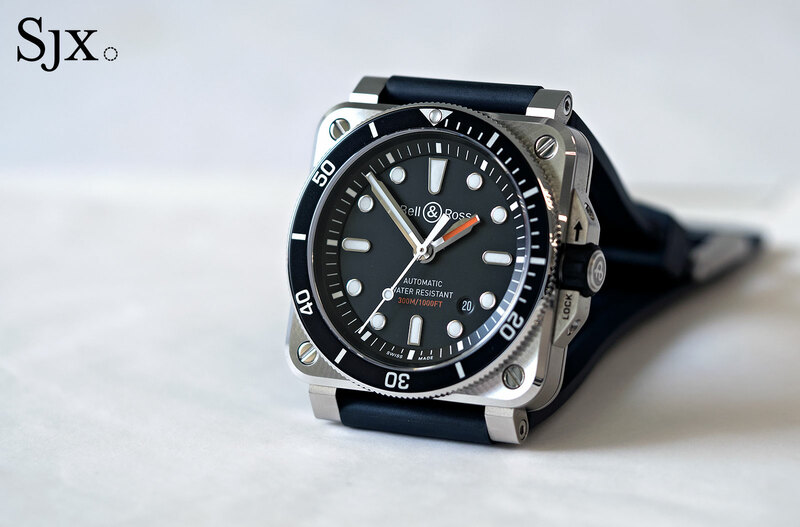 The result is a properly-spec’ed diver with all the elements of a conventional dive watch, yet one in an unusual square case. To meet the ISO criteria, the dial of the aviator’s BR 03-92 has been given a makeover, leaving it with a design typical of many dive watches. Markers are the quarters are oblong, while those in-between are round, making them easily distinguishable in dim light. The same holds true for the hands, which have to be clearly differentiated since the minute hand is used to record elapsed dive time. That’s usually done by varying the shape (as on various Rolex dive watches) or the colour. 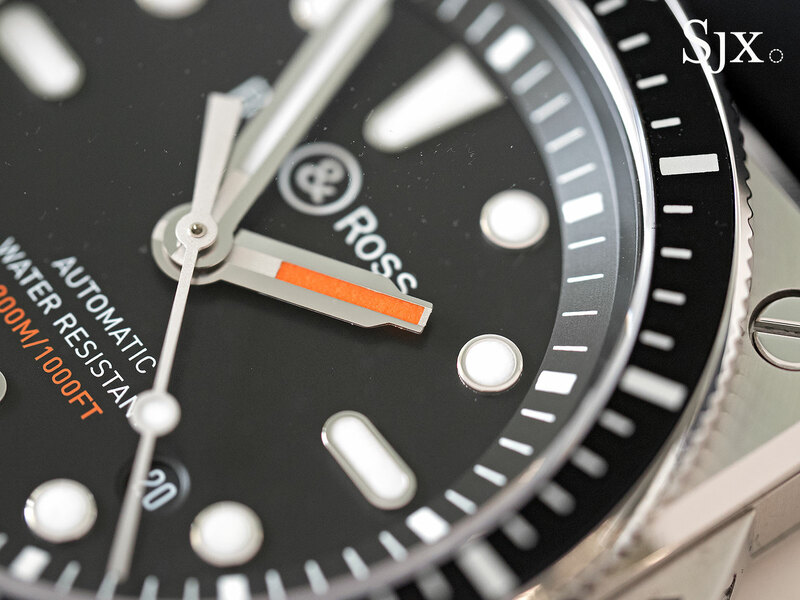 Bell & Ross took the latter route, painting the hour hand with orange Super-Luminova so that it glows orange, quickly setting it apart from the minute that that glows blue. 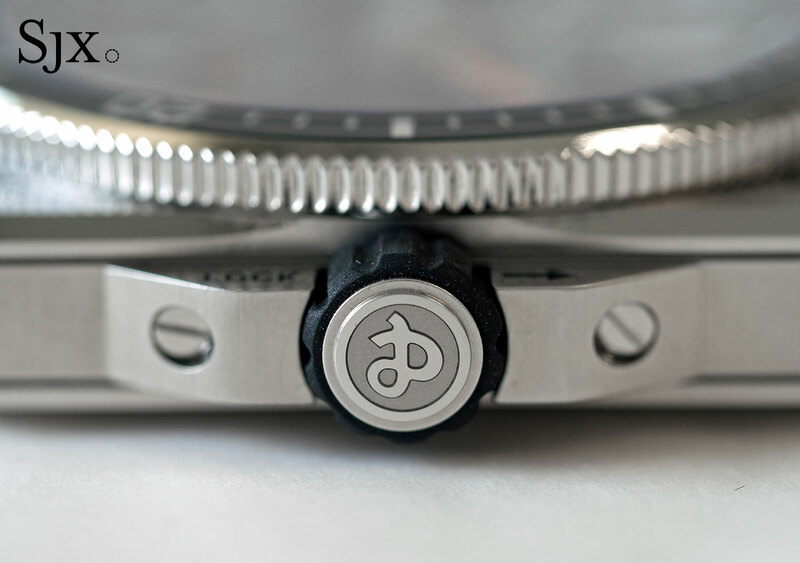 But the BR 03-92 Diver is more than just installing a rotating bezel and redoing the dial. The diver is rated to 300m, while the ordinary BR 03 is a 100m watch case. 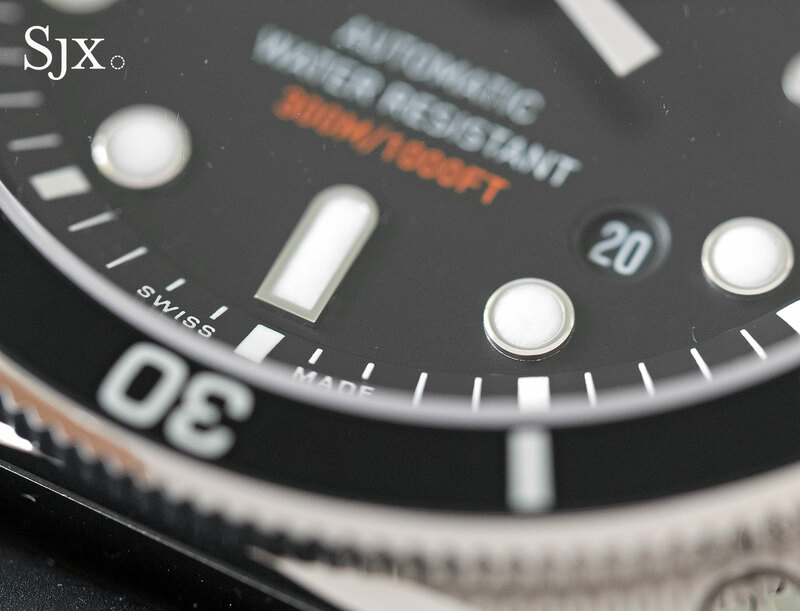 To accomplish that, the steel case back on the diver, for instance, is 2.8mm thick, compared to just 1.8mm on the ordinary BR 03. Similarly, the flat sapphire crystal (coated with an anti-reflective film naturally) on the front is 2.85mm, almost double the height of the standard 1.5mm crystal. 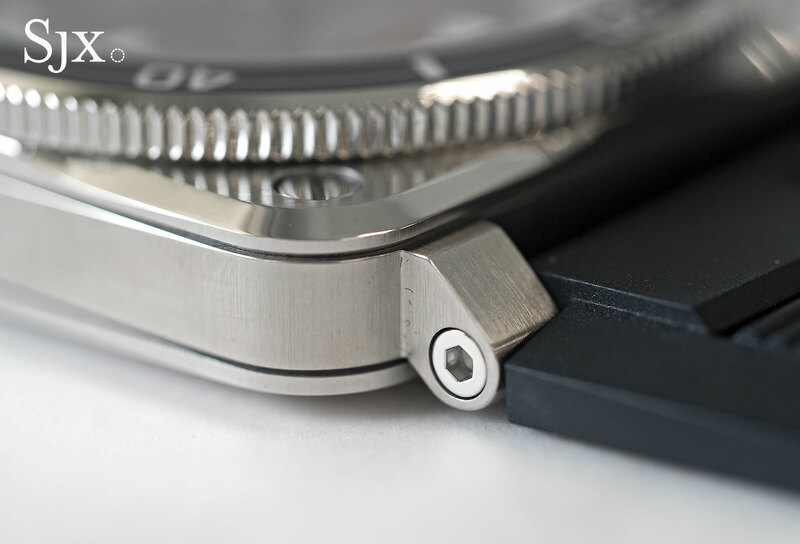 The case is also fitted with a soft iron cage that surrounds the movement, protecting it from magnetic fields. While the ISO 6425 standard demands resistance to fields of 4800 A/m, the soft iron cage boosts magnetism resistance to several multiples of that figure, usually to around 80,000 A/m. 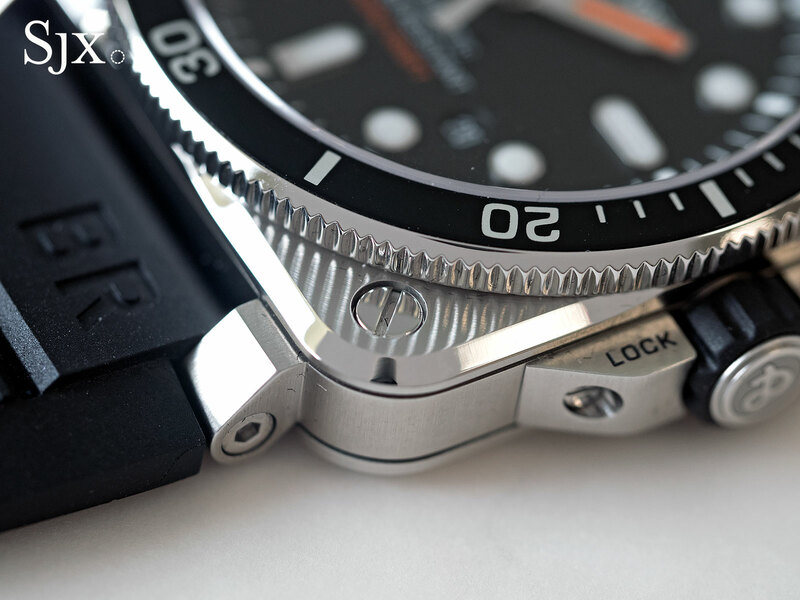 Another addition to the case that’s unique to the diver are a pair of crown guards that flank the rubber-coated crown. 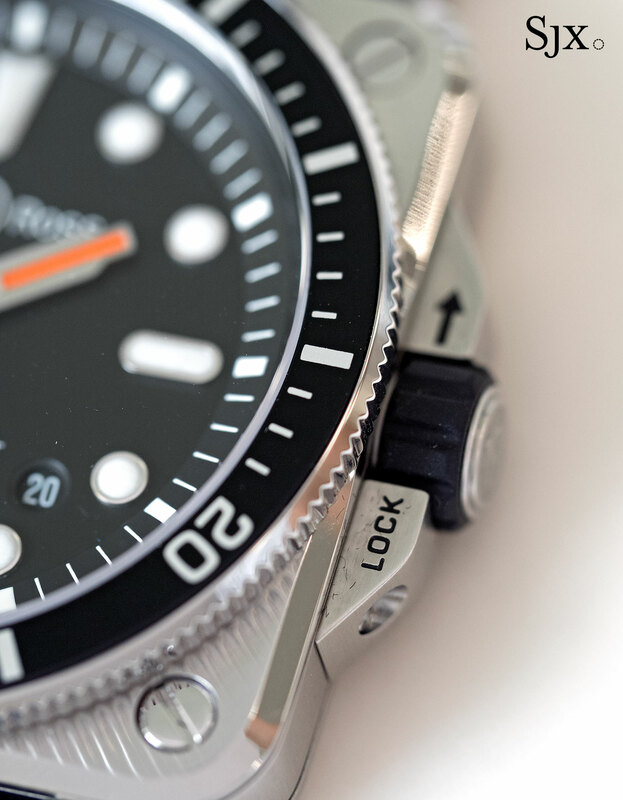 Found on most dive watches in order to protect the crown from damage that could compromise water-tightness, the crown guards are secured to the case with screws, and engraved with somewhat superfluous instructions on how to screw down the crown. The lettering on the crown guards is the only unnecessary element in a generally no-nonsense design. Despite the fortification of the case, the diameter remains 42mm, just as with the standard BR 03-92. But the thicker crystal and back, along with the bezel, makes it significantly heftier than the ordinary model. 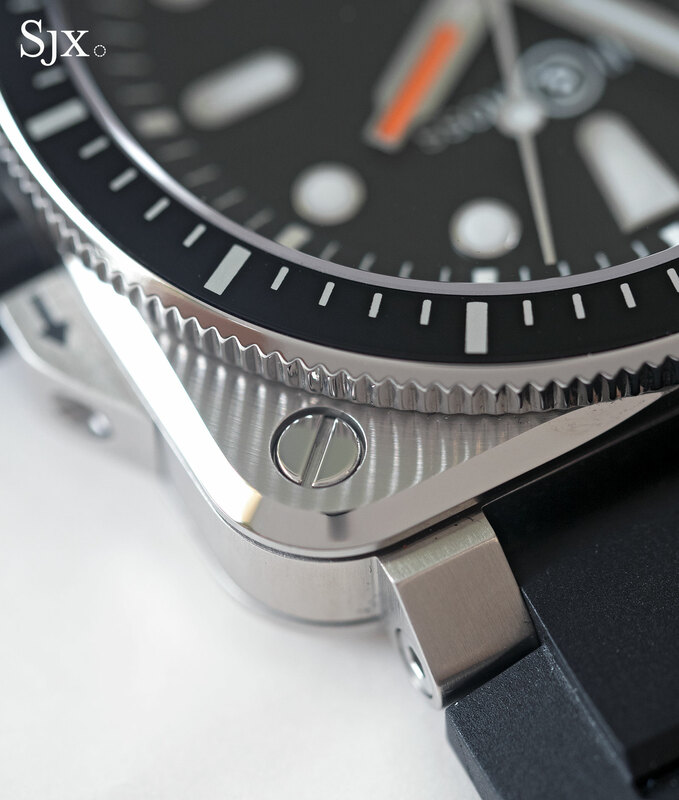 The diver also has more variation in case surface finishing than most of the standard BR 03 watches, with alternating brushed and polished surfaces that give it texture. But the basic construction of the case remains the same, with the four screws on the front actually being the ends of nuts that are secured by screws on the case back. 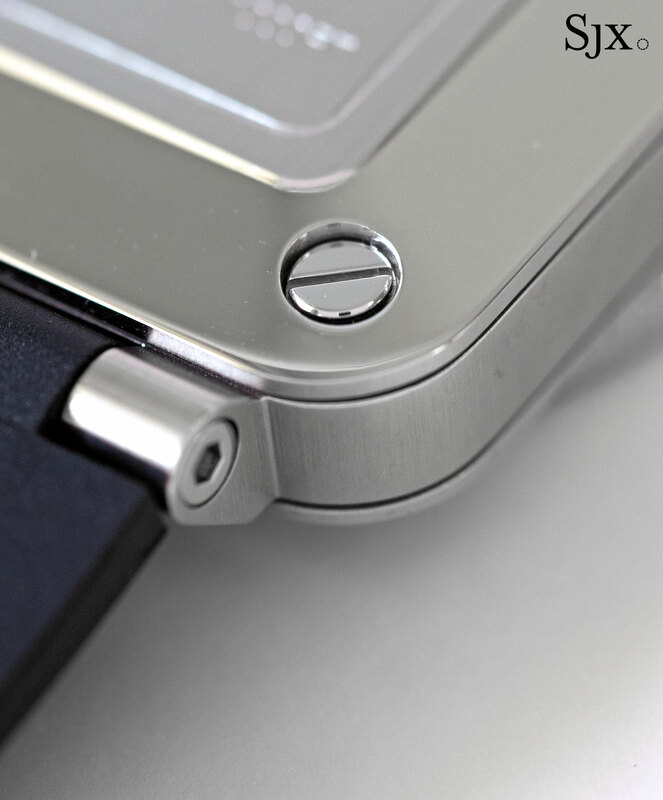 That explains the perfect alignment of the screw heads, all of which point towards the bezel. The movement inside is the calibre BR-CAL.302, found in most BR 03-92 watches and is actually the functional and reliable Sellita SW300. 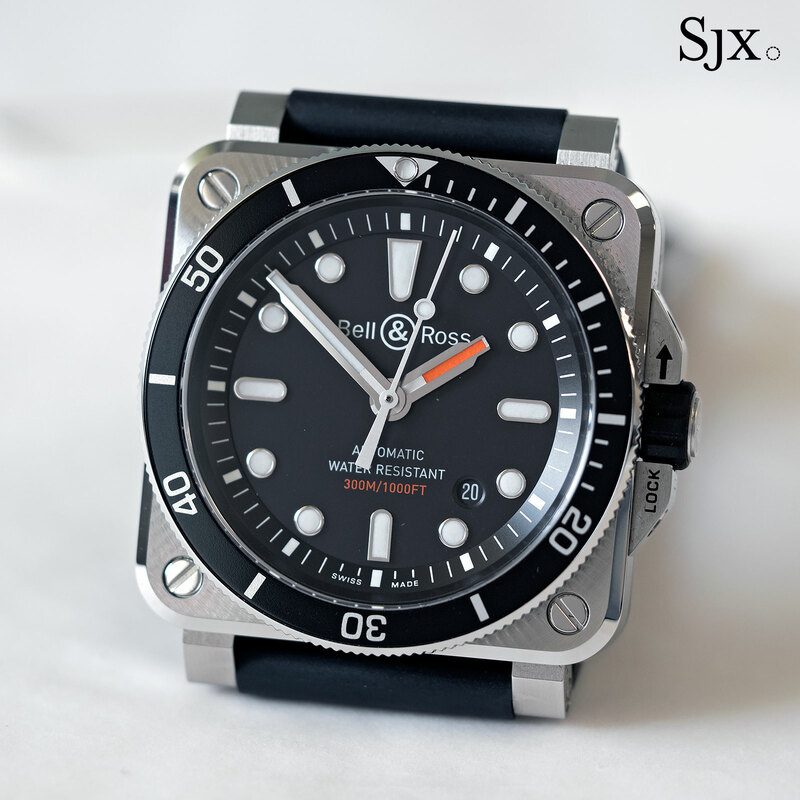 The BR 03-92 Diver (ref. 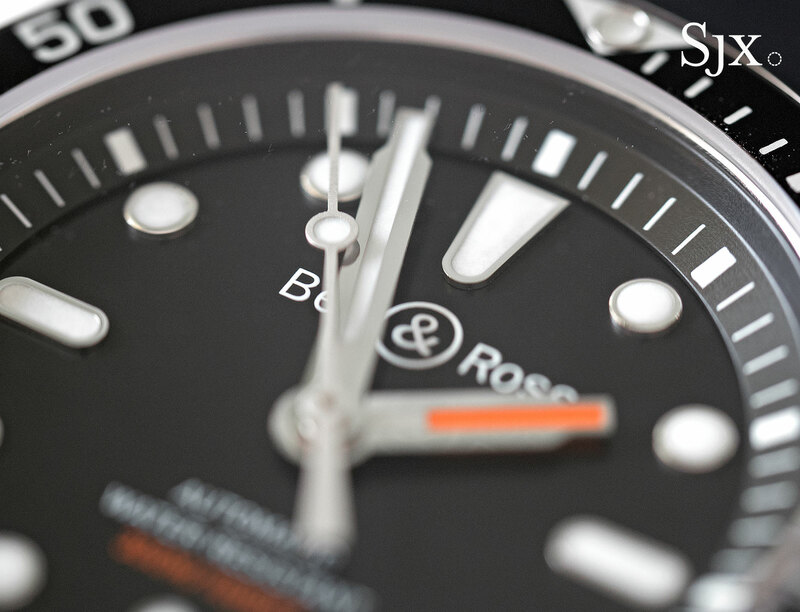 BR0392-D-BL-ST/SRB) is already available at Bell & Ross retailers and boutiques, priced at €3300 or S$5300. More info can be found here. 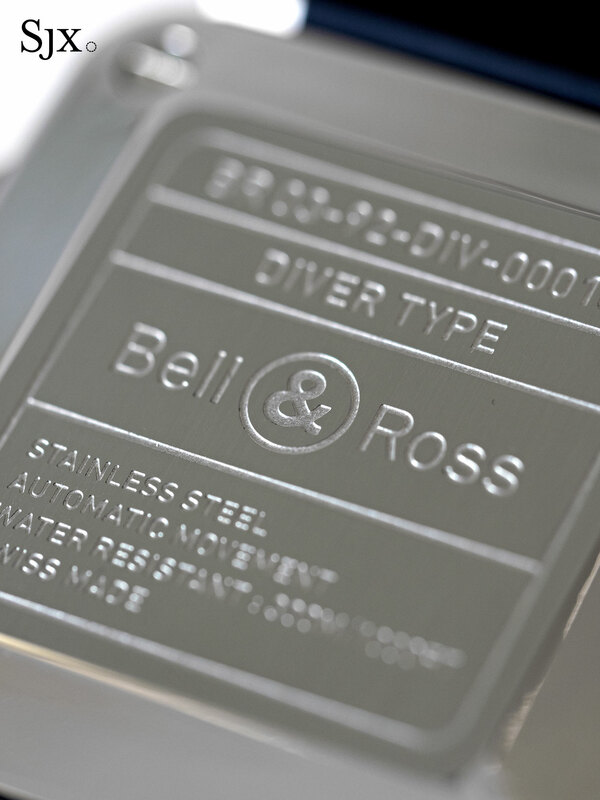 Bell & Ross offers the choice of sleek and silvery, or bold and black. The signature B&R pilot's wristwatch is given a nautical makeover with bronze and rosewood.